Paying with your mobile device will be even easier in 2018. Regardless of your age, you might be surprised to learn that 2017 saw the 20th anniversary of the first mobile payment. Unsurprisingly, a global behemoth was behind the move – Coca-Cola, trialling a text message vending machine in Helsinki. Before 1997 was out, Finland’s Merita Bank had adopted the text message to allow its customers to make transactions. The next few years saw various other corporations take on the new technology. All this was a decade before the iPhone’s launch and well before the smartphone became the everyday item it is today. Accelerations in mobile technology have seen them grow from telecommunications’ devices to personal assistants. They act as alarm clocks, to-do lists, and allow us to search and shop whilst on the move. As mobile technology has advanced in general, payment tech has advanced with it. From the Google Wallet, released in 2011, to Apple Pay in 2014 and beyond, the popularity of the technology has grown in line with demand. This is set to escalate in 2018, as consumers seek ever more convenient ways of managing their lives. In the current climate, technology is at least equal to consumer demand. Alongside the growing app market, Google placing ever more importance on mobile searches and websites complying to reap the benefits of such changes, the stage is set for the mobile payment market to continue growing. And at a faster rate than ever before. The whole digital industry is gearing up to enable mobile payments on a global scale. All it needs is a population to comply. If you’ve any doubt as to whether mobile payments will become as normal as owning a smartphone, the influence of China is a case in point. This global superpower has already been there, and done that. In 2015, Chinese smartphone users bought more products through their mobiles than PCs. A year later, two-thirds of online payments were made through mobile devices. Figures in 2017 look set to increase even further, with approximately three-quarters of online payments made through mobile thus far. When a huge nation takes on a new technology with aplomb, it’s generally only a matter of time before the rest of the world catches up. Mobile payments will continue to grow in 2018 as they are a perfect product for the times. The statistics’ portal Statista registered 4.77 billion mobile phone owners worldwide in 2015. This is predicted to rise to 5.07 billion by 2019. With more mobile users naturally comes more texters, selfie-takers, app-users and mobile payers. Global mobile payments have exceeded $700b in 2017, a rise of nearly $500b over the past four years. At the same time, the mobile payment market promises profit as well as convenience. A huge percentage of digital technologies are ultimately designed to make an aspect of our lives easier. If said technology also benefits huge corporations – banks in this case – then it comes with added momentum. Financial institutions are always looking to cut down on payments to legal middlemen, and these are much reduced by using a mobile app. Banks and app-providers have also introduced incentives for customers to use ‘their’ mobile payment system. They are also rewarded with a huge amount of consumer data. If mobile payments already contribute to cash’s decline, the incentive market suggests they may soon rival credit cards as well. Confidence amongst consumers is also on the rise. PayPal, Apple Pay and Samsung Pay are among the big players in Europe and the US; all brands around long enough to have earned the trust of large parts of the globe. It isn’t that long since men on horseback delivered our mail. At one time, getting a missive from one end of the country to the other in a week or so must’ve seemed a fair timescale, until someone thought of a quicker way. The same could be said of current delivery rates. Now the demand is to have whatever-we’ve-bought in our hands the second after we’ve ordered it. Every future generation grows up wanting things even faster, until super-fast become the norm. 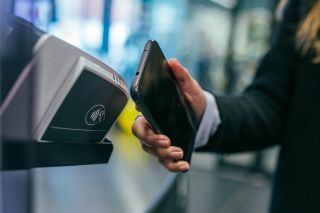 Until a communications’ product surpasses the mobile phone in terms of popularity, the mobile payments’ industry is in an ideal place to help deliver this need for speed. In many ways, the rest of the world has long been ahead of the West when it comes to mobile payments. The market is thriving elsewhere, but for more than reasons of convenience and profit. Mobile payments have gone some way to ease monetary security in parts of Africa. Prior to the introduction of the M-Pesa mobile payment app, many people in rural towns and villages were without bank accounts and solely reliant on cash. Those behind M-Pesa saw a huge opportunity, with a ready and willing consumer base. The difficulties of keeping money safe in many rural parts of Africa has thus been drastically reduced, and purely through mobile technology. The story of mobile payments in Africa is a major example of a new financial system being used to benefit millions of people, with no input from existing financial institutions. This in turn provides the perfect example of how a cashless society can work. It’s been estimated that 90% of smartphone users will have made at least one mobile payment by the close of 2020. Given the rise in 2017 of cryptocurrencies and the ever-growing shift towards a paperless society, mobile payments fit perfectly into both the present day, and whatever financial future one might imagine.